What a weekend for baseball fans and Yankee junkies. I wanted to be in Florida this past weekend to prepare for the 2018 baseball season but as many know I had three funerals to attend. Since I was going to be in town, I was told by some of my friends about three giant baseball functions. First, there was the Hot Stove League Baseball Scouts Dinner to honor the back bone of Major League Baseball, the scouts. I attended the function with the dean of major league scouts, Tom Giordano, affectionally know as T-Bone, who at 92 years of age is the oldest employee in all of Major League Baseball. Also with me was NY Yankees Tristate area scout, Cesar Presbott. Among the Scouts honored was Kelly Rodman, who happens to be the Yankees first women scout. She received the Gil Bassetti memorial award for her dedication and loyalty to the game of baseball. Kelly was a great collegiate softball player that has played all over the world. The enthusiasm that she showed as a player she also shows as a scout. Kids in many Latin countries still remember Kelly as someone that gave all of herself in helping them learn the game. She is a great ambassador to the great game of baseball so it not surprising that she is doing it as a Yankee. The next day, I found myself in New Jersey, at the Hasbrouck Heights Hilton. The biggest baseball card show in the world this year was being run by Mollie Ann Bracigliano, who is known as the Queen of the baseball card shows. During the week, she appeared on my ESPN Deportees radio show, Impact, to promote the event. She told me that many of the Yankees young prospects were going to be at the event including the MLB.com number one prospect, Gleyber Torres. Mollie felt that it would be a good idea for me to be there, so I agreed to go. Andrew Levy of “Wish You Were Here Productions” had an incredible stable of players past and present to assist Mollie. Andrew has always had one of the better reputations in this crazy business and it shows in how his players conducted their business. 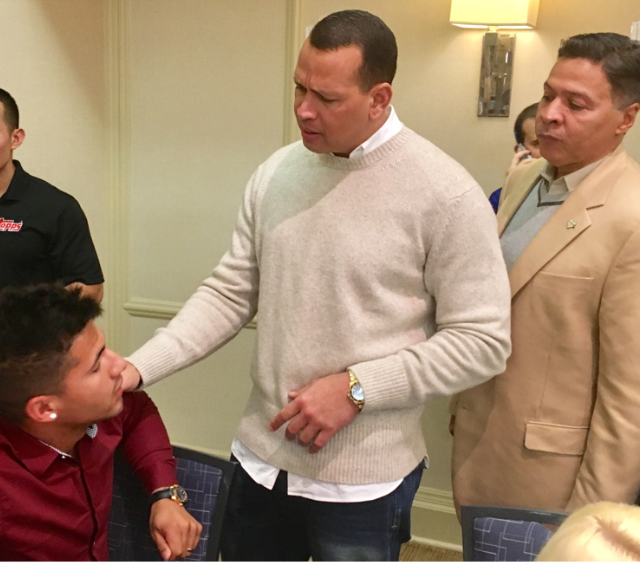 When I got to the event, I walked in with Alex Rodriguez. Before Alex sat down to sign autographs he visited with all the baby bombers and depending on the person gave them some positive words of wisdom. When it came to young Mr. Torres, Alex dealt with him with kid gloves. A-Rod told him some great things that I remember Reggie Jackson telling Derek Jeter back in February of 1996 at a similar event. I found Torres to be a terrific young man who was very kind to all of the young people at the event. I asked Legendary Yankee second baseman Bobby Richardson what advice would he give Torres and he said that Torres should just stay himself, keep working hard and never forget where he came from and to remember that there is nothing like being a Yankee. New Yankee manager, Aaron Boone, was also there. It was my first chance to actually say hello to the Bombers newest manager. I could tell that Aaron was already on the job as he went around to all his baby bombers, introduced himself and gave them a hug. The next day it was a rainy Sunday and I attended the funeral of my beloved priest, Father Richard Gorman, who died of a heart attack during the week. Father Gorman used to go to the difficult hospital visits with me where the kids unfortunately were not expected to make it. He was my support when I would break down and cry. I will miss him forever. That evening I found myself at the Baseball Writers annual dinner at the Sheraton Hotel. 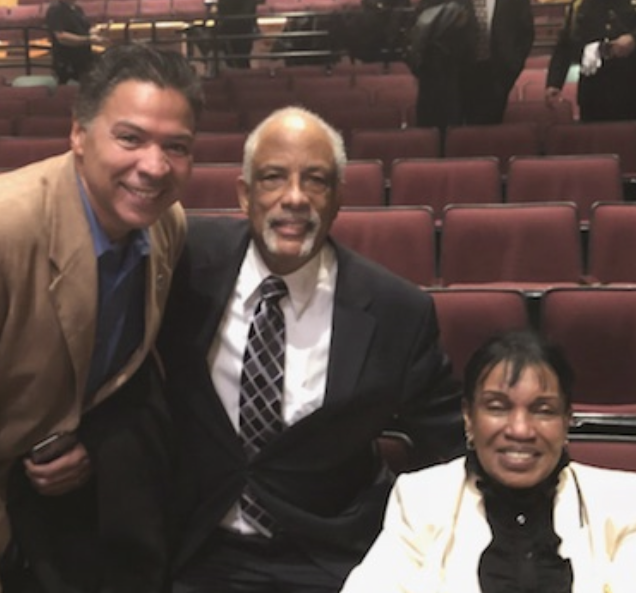 Before the event, I spent time with some of the honored guests. The two VIPs that I wanted to spend time with was new Hall of famer, Jim Thome, a friend from my days in Cleveland. Jim is one of the nicest people that you could ever meet. I always used to tell Jim that he was a cross between Babe Ruth and Lou Gehrig. How I came to that analogy was from stories that legendary Yankee Clubhouse manager Pete Sheehy used to tell me about the personalities of these two fabled giants and of course their baseball prowess. So, getting to spend as much time as I did with Jim I used to love to tell him what a great Yankee he would have been and how he would have been loved by the fans just like Ruth and Gehrig and of course Munson and Murcer. The other VIP being Giancarlo Stanton. I found Giancarlo to be a very nice person who is genuinely excited to be a part of this juggernaut that is known as the New York Yankees. After we got to talk for a little while many fans started to come over to him and bombard him for pictures and autographs. I told him that I would see him in Tampa. As I walked away I stopped to see if he was going to snap at the people because they wouldn’t stop making requests of him however, he stayed cool as a cucumber. Later, I would see my reporter friend Tom Verducci from Sports Illustrated and also the MLB network. He has been good friends with Giancarlo Stanton since he came to the big leagues and we talked for about twenty minutes about his admiration of this young man. Tom would later come on my radio show to again praise Giancarlo Stanton. During the ceremony, I was very blessed to be able to sit at the Yankee table. No matter to what degree, there is nothing in the world like being a part of the Yankees. Forty five years since I started in this organization and I am still extremely grateful to be here and very happy to be able to share my stories with all the people that really care about Baseball. Today the baseball world mourns the passing of former Arizona Diamondbacks and San Diego Padres General Manager, Kevin Towers. Throughout the baseball world he was known as a truly good person and family man. Always a fun loving guy, those who knew him well will really miss him. He was much too young to go at the age of fifty six. I want to close this column by giving my condolences to Gene Gagliardi and his family. Gene, a long time road manager for Aerosmith and other rock bands of that era, lost his dad Gene Sr. last week. Gene Sr. was a World War II war hero who was a close friend to Billy Martin and Phil Rizzuto. To say that he was a Yankee fan would be an understatement. One thing for sure, he was a great man! 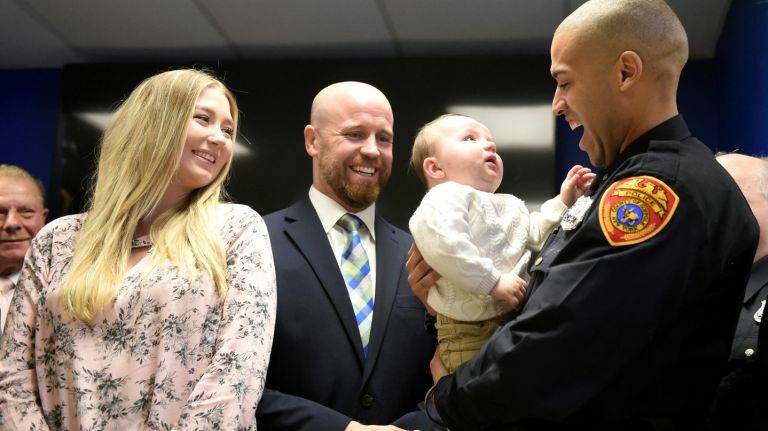 Mike Pappalardo’s voice cracked with emotion as he thanked the Suffolk County police, fire and emergency workers who helped save his baby boy the day he was born. “He might not be here today,” the Mount Sinai father told the officers, dispatchers and others during a news conference Thursday at police headquarters in Yaphank. Five months ago, at just about midnight, his wife, Jane Pappalardo, 31, told him that her water had broken and they needed to move fast. The baby had his own timetable, and the next thing they knew mom was giving birth on the kitchen floor. A call to 911 led to Steve Platz, a dispatcher for the county fire and emergency rescue department. Over the phone, Platz helped Mike Pappalardo, a 38-year-old special education teacher, keep his cool when dad discovered the umbilical cord wrapped around the baby’s neck. “We worked to pull the cord off the baby’s neck,” Platz recalled. When several attempts to remove the cord failed, Mike Pappalardo just snapped it with his hands. Negron knew the baby’s airway needed to be cleared. And quickly. A household syringe did the trick. Five months later on Thursday, there was little Bryce at the big news conference, his green eyes looking quizzically at the snouts of the media cameras trained upon him. The baby seemed oblivious as officials tapped his tragedy-turned-triumph into broader themes. County Executive Steve Bellone said first responders perform such life-saving work every day. He stopped for a moment, just to recognize how Bryce was so well-behaved. Through it all, Bryce sat happily perched in the arms of his mother, swaddled in a white sweater, tan pants and baby blue socks, and thoroughly enjoying his green pacifier. Then his mother placed the baby in the arms of the police officer who helped him into this world. Negron was clearly wowed by the moment. Bryce, now a healthy 19 pounds, looked him right in the eye. And the two, forever linked by an incredible moment, continued that bond. In life you must do something that you love. That was the motto that Bert Padell lived by. He was known as the accountant to the stars. You’re asking me– why I would care about an accountant? Well besides the fact that he represented Madonna, Jay Zee, Robert Deniro and so many others, he was also a philanthropist. The thing that I loved the most about Bert Padell was the fact that his first job in life was that of a New York Yankee Batboy. After reading many of my stories you know how sensitive I am about Yankee Batboys. 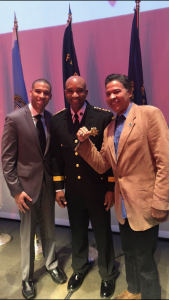 Just recently, I wrote a story about Sheriff Errol Toulon and another about Luis Castillo and his work with kids in the Bronx. There are so many success stories about former batboys. The foundation that the Yankees gave all of these kids date back to the days of Babe Ruth and his personal bat boy Ray Kelly, who would grow up to become very successful in life. The same can be said about Bert Padell. I first met Bert back in 1981 when he was the accountant for Yankee outfielder, Lou Piniella. Naturally, he loved the fact that I was a member of the “batboy fraternity” so we had a lot to talk about and a lot of comparing notes. The one argument we had that day was the fact that when he was a bat boy he had Joe DiMaggio and Yogi Berra and I had Reggie Jackson and Thurman Munson. We laughed a lot about that one because there was no way that I was going to let him tell me that his two guys were better than Reggie and Munson. I gave him a good argument and because of that he said that I should have been a lawyer. 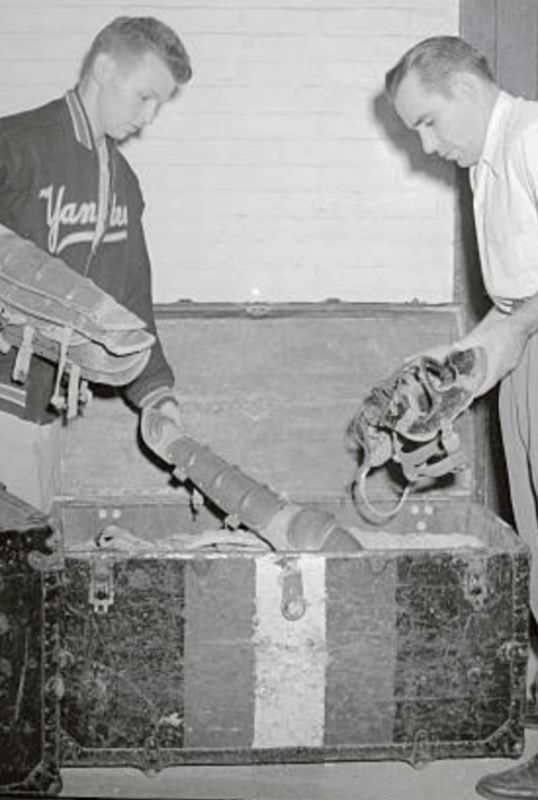 Bert always told me that with all of his success, being a Yankee Batboy was always the greatest job he ever had. That is the one true thing that we agreed on. Bert never forgot where he came from and for many years he would visit many hospitals with some of his celebrity clients and bring the sick kids presents that he bought himself. Bert always inspired me that way. It’s sometime that has always been a part of the Yankee tradition dating back to the days of the Babe. Bert Padell died at the age of 87. He will be missed by so many people. Black and white, rich and poor. Bert was a nice man that always had time for myself and everyone else when we needed it. It was never about business, it was always about the thing we loved the most–The Yankees and of course being a Yankee Batboy. Rest in peace Bert. You lived a good life and you helped a lot of people. Today I am also saddened by the passing of my priest and big time Yankee fan, Father Richard Gorman. 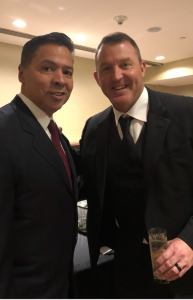 The last time we spoke he was excited about making a trip to visit the Yankee spring training camp and get a first glimpse at the 2018 New York Yankees with our dear friend and chairman of The Cristian Rivera Foundation, John Rivera. I also lost my cousin Hector (Luisito) Perez to this crazy flu virus that is all over this country. If you haven’t gotten your flu shot, get it now. Isn’t it the truth? At midnight Friday I was talking to my oldest son Jon-Erik talking about plans for the next couple of weeks. Last year as a police officer he helped deliver two babies. We were talking about the fact that I would be at a ceremony where they are going to honor him. We talked about the fact that he was looking forward to going to spring training to see this great Yankee team. At Four in the morning the phone rang and the caller ID showed his number. When your son is a police officer, this is never good. So, I took a deep breath and said,”What happened?” He initially said, “I am ok. I’m at the hospital. A drunk driver plowed into me while I was writing a ticket. Thank God I was in my police car.” I asked him, “Are you sure your ok?” He said, “Yes and that he wanted to tell me before I saw it on the news.” I asked him if he wanted me to come to the hospital but he told me that his mom Barbara and her husband Jerry were already there. I told him to call me when he left. After we hung up I put on the local television station and within the hour they showed the accident and my son being rolled out on a stretcher. They showed the drunk driver’s car completely totaled. When I saw this I had to call him and as crazy as it sounds, he was already back at the police station doing his report. The next day, he was telling me about how sore his neck and back were. I prayed a lot this weekend, thanking God for sparing my sons life this weekend. At one point, I got a text from my ex-sister in law ,Carmen Webb, saying “God is Good!” I couldn’t agree with her more! I told Jon-Erik that now he must deliver the message about drunk driving. Also, not to waste time being angry with the driver of the other vehicle. Hopefully she can get help with her problem so that it doesn’t happen again. When you look at the pictures of the accident you can see how horrible this could have been. With that being said, as a parent I urge all other parents out there to please speak to your children about drinking and driving. It doesn’t matter how old they are, they are always our children. I feel terrible for the young lady that injured my son because now her life is pretty much ruined forever in so many ways. This is not the first time that someone that I love was involved in this type of accident. One that all of you do remember was the Great Yankee Manager Billy Martin who died in a drunk driving accident. Billy was like a father to me and I have never gotten over it. I couldn’t imagine if my son, an innocent bystander, had lost his life because of this craziness. I will only say that we must all be responsible for ourselves and for those that we love so that we don’t become a statistic. I am grateful that I can pray to God tonight and thank him for my son being okay and that he is a part of the master plan. Now I can still go the his ceremony where he will meet the babies that he helped bring into this world and of course we have to see the new murderers row (The Yankees) in Tampa. If you are a parent please do yourself a favor and listen to John Lennons song ‘Beautiful Boy.’ Then give your kids a hug. If they are away, then give them a call or text just to let them know how much you love them. Remember that in this crazy beautiful life nothing is guaranteed NOTHING ! Last week there was a horrific fire in the Belmont section of the Bronx. Thirteen people vanished in the blaze. Families destroyed forever. When something like this happens, if you’re human, then you want to help any way that you can. 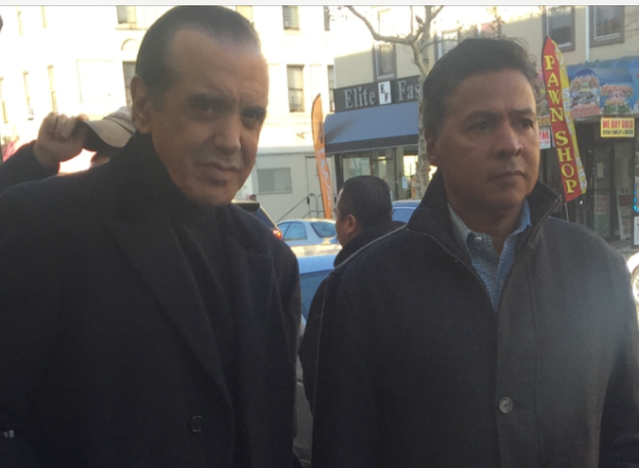 If you are Chazz Palminteri and you grew up in that neighborhood then it really hits home. Knowing Chazz the way that I do, it did not surprise me that he would get together with his friends, film legend Robert De Niro and music icon, Tommy Mottola, to do something to help. The three are producers of the great Broadway play, “A Bronx Tale.” That being the case, they decided to give four dollars from every ticket sold to help victims that live in the building. I have known Chazz and Tommy Mottola for a long time, and very aware of their friendship with De Niro and again, I am not surprised by this wonderful gesture. I have always found Chazz to be a very humble man that I can always go to for help with anything and the brother is always there. Chazz and Mottola have never forgotten where they came from. The other day I was sitting down with Chazz Palminteri having the greatest cappuccino in the world at Gino’s Pastry on Arthur Avenue then we started to walk the streets in the Belmont section of the Bronx and as Chazz started to stare at the buildings I could see how much this man loves this neighborhood. To think that there was a fire here that destroyed some lives and some buildings, I know really hurt him badly. I have always been a lover of the arts and to say that I idolize these three men would be an understatement. Many times when you meet your heroes, they sometimes tend to disappoint us. I can guarantee you that this is not the case with these three men. New York is very lucky to have them in our great city. They just don’t live in New York, they really care about our city. 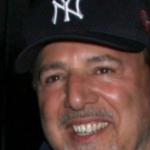 Most people are aware of Chazz’s great love of the Yankees and as you can see by Mottola’s picture, he too is a big time fan of the Bronx Bombers, as is De Niro. They say actions speak louder than words. In the case of these three men, their actions are very much appreciated. I guess this is just another Bronx Tale. You have just agreed to a multi-million dollar contract with baseball’s most elite team, the New York Yankees. You would think there would be a big celebration. 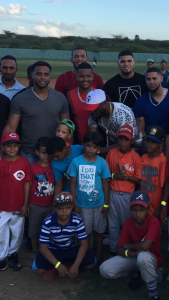 But in the case of Dellin Betances, his way of celebrating is by hanging out with the poorest kids of the Dominican Republic. On Saturday and Sunday, Dellin was seen along with Yankee catcher Gary Sanchez and former Yankee Starlin Castro and their longtime mentor, Nelson Cruz, hitting the kids ground balls, fly balls and in Dellin’s case, pitching batting practice. 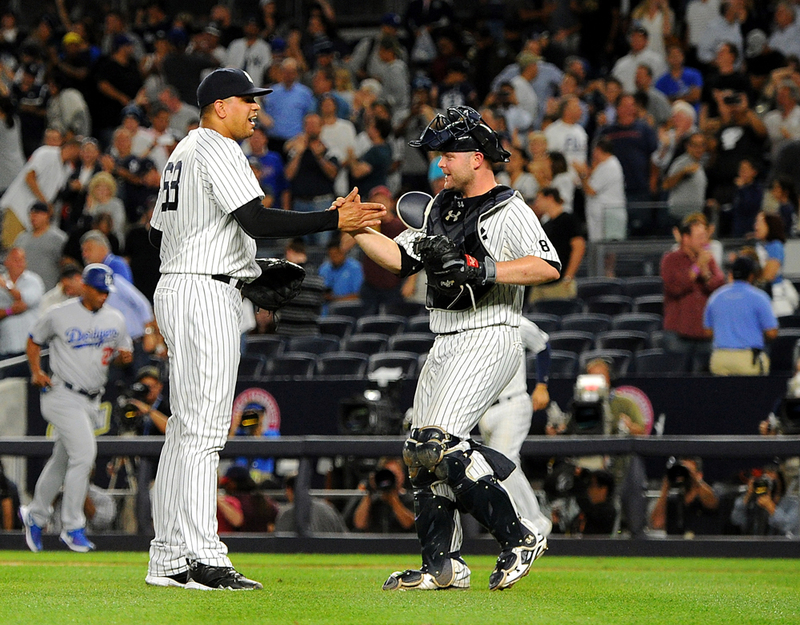 If you know Dellin Betances, then you know that he has never forgotten where he came from. If he was in New York, he would be at a batting cage working with kids in the Bronx. Nelson Cruz, whose parents are educators, is considered in baseball circles as a true humanitarian. I had the great fortune of honoring him at the United Nations several years ago for his work in Venezuela. He flew in powdered milk when Venezuela lacked milk for its young. When you ask Dellin about why he cares so much, he provides the example about the way that Nelson and others have been and the fact that this is part of being a Yankee. Starlin Castro was not a Yankee for long, but he understood that being philanthropic came with wearing the pinstripes. Dellin is excited about the upcoming baseball season and is grateful that the organization has put its trust in him and treated him with the type of respect that he has earned. 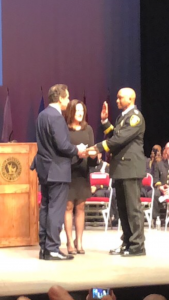 Today was the inauguration of the 67th Sheriff in the history of Suffolk County. Today also marked the first time that an African American was voted into that position. The governor of New York state, Andrew Cuomo said, “It took a person like Errol Toulon to be able to break down those barriers.” Governor Cuomo also said that the people of Suffolk county understood the fact that Sheriff Toulon was truly someone special and someone that was willing to give his heart and soul in order to do all of the right things for the people of Suffolk County. Errol Toulon is someone that is not going to be afraid to challenge the MS 13 and other gangs that have been terrorizing parts of Long Island. When Errol Toulon walked up to the podium today, one of the first things out of his mouth was the following, “I’ve come a long way from being a batboy for the New York Yankees and having a catch with Reggie Jackson.” The auditorium erupted with cheers which made me feel extremely proud because I know that this is something that would have made George Steinbrenner even prouder. To be sitting next to my son Jon-Erik, who is a police officer, a union delegate and also helped with the election process, made me understand how important the Sheriff is and how important it is to have the right man in this position. When I went up to Mr. Toulon Sr. to see if he remembered me from the Yankee days, the first thing he said was, “I remember you and appreciate the things that you do.” To say that I felt extremely humbled would be an understatement. I worry about my son, Jon-Erik every day when he is working. 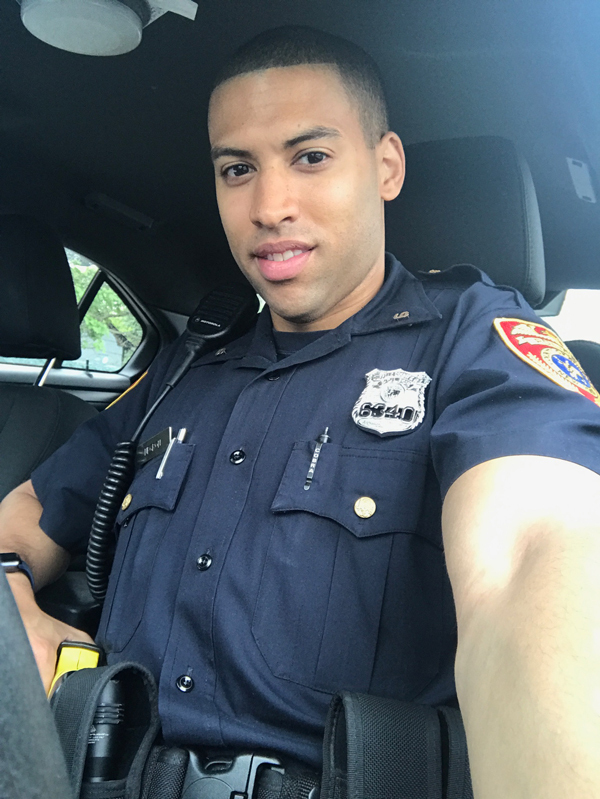 I also know that he has two other brothers that are getting ready to join the Suffolk police force and I worry for them also however, it is comforting to know that their leader, Errol Toulon, is there to guide them and all the people of Suffolk County. In closing, as I have said in other stories, I am always proud of all the batboys throughout Yankee history who have grown up to become great citizens. The Yankee organization should always feel very proud. I sat down for my first meeting of 2018 with New York Yankees President, Randy Levine. It was nice to see how enthusiastic Randy is about the 2018 Yankees. It’s great to feel the incredible loyalty that exists in this storied organization with the officials that run the Yankees. I remember that after the great George Stienbrenner passed away there were whispers that the Yankees would be sold within 5 years. That could not be further from the truth. Also, the loyalty that the Yankee organization gives to the fans are at an all-time high. Hal Steinbrenner, the Steinbrenner family and the Yankee organization have taken the Boss’ dream to another level. It takes all the blood sweat and tears from Hal, Randy, Cash, Lonn Trost and, of course, the rest of the front office to keep the brand what it is, the greatest in all of sports. 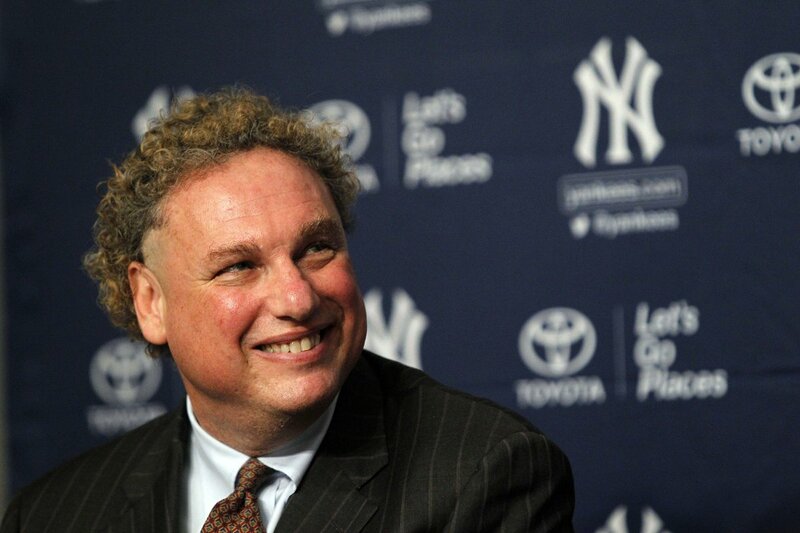 I hope you enjoy my interview with Randy Levine about a shared love between an organization, their fans and the upcoming Yankee season. RN: Im sitting here with Randy Levine at the start of 2018, Happy New Year how are you feeling? RL: Happy, Healthy New Year to you, it’s a new year and I’m feeling good. 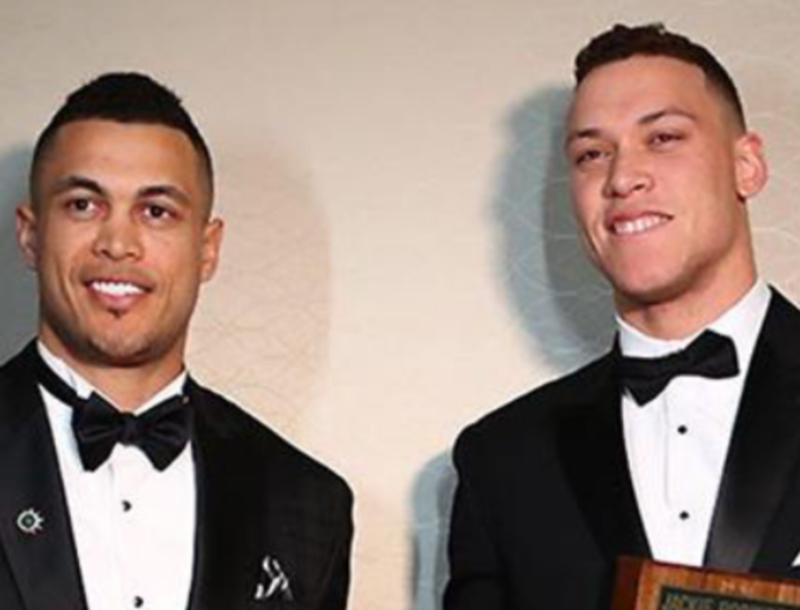 RN: Fans in New York are very excited–I mean the Yankees have made some pretty nice moves- the significant one is with Stanton, Giancarlo Stanton, what are your feelings? RL: I think that we have a really great team, we came a game away from the World Series last year. I think Cash and the baseball operations people did a great job in getting Giancarlo Stanton and some of the other moves that they made. I am excited to have CC Sabathia back. They are still working to improve the team –Hal is always about improving the team. This is a young, exciting, very likable team and it’s going to be fun for a couple months to be down in spring training and start to make the quest for Championship number 28. RN: Brian Cashman, Executive of the Year? I mean what can’t he do? RL: He’s done a great job, really done a great job. We turned this franchise around in two years, he has made some great trades along with Damon Oppenheimer and the people down in Tampa. They get lots of kudos–they really really devoleloped great young players. Our farm system is one of the strongest, if not the strongest in baseball so they’ve done an incredible job. He’s made obviously some really great trades and it’s exciting–we just need good health and a little luck and hopefully it will be a great year for us. RN: Hal Steinbrenner– I remember being his babysitter when he was seven years old, now he is the man in charge. How tough is it for a guy like that, once you guys give him recommendations on baseball and other related matters, to have to press that trigger? RL: I think Hal has just become a great great owner, he’s got phenomenal, phenomenal qualities. He’s extraordinarily analytical. He is very, very smart but like his dad, he knows when it’s the time to pull the trigger–he always has in his mind what’s good for this franchise, what’s good for this city and New York, what’s good for Yankee fans everywhere. He understands how important the Yankees are to the city and to all the fans all over the world and he understands that you constantly need to reinvest in this team. He’s had a plan and he’s executed it. We had a very good financial year. We had a great year on the baseball field and all of our other businesses have done very very well. The YES Network had record ratings, Legends Hospitality has done great, the New York City Football Club, on and on… Hal has really come to his own as a really strong leader, he’s on the executive committee of Major League Baseball and he’s very respected there as well. RN: Well, I’m sure Hal is happy to have soldiers like you and Lon Trost, and Brian Cashman to help support him at difficult times. RN: Finally, for the fans of the Bronx, fans from all over, the Yankee fans all over the world–will the Yankees win this year? RL: I hope so. I don’t want to jinx it but i think we will be very competitive. I think we have a great, great team. We have the talent to play with anybody but baseball is a long season, and a lot of things happen. As a man once said, “You have to prepare yourself to be lucky.” That’s really what we have – the talent and we need a little luck and hopefully at the end we will be standing. I hope so.